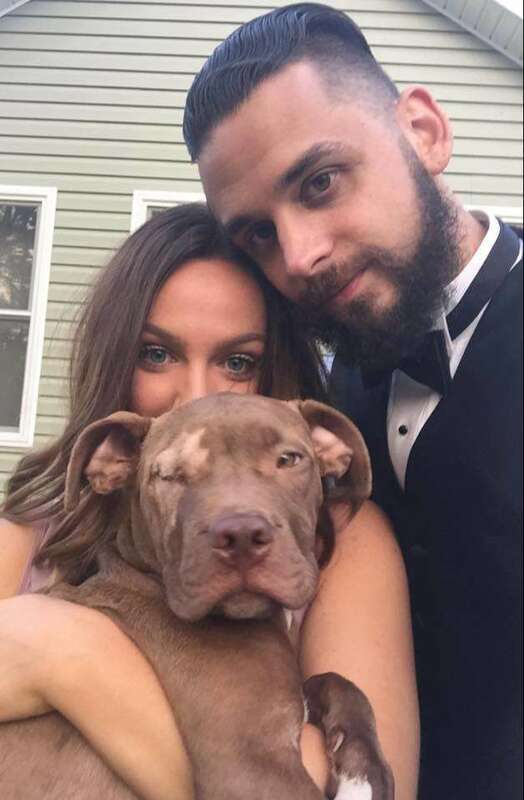 Back in 2015, a dog named Riddick was rescued by the Rescue Dogs Rock NYC group. The pit bull was thrown from a moving car and sustained some injuries from the experience. He was brought in by the group and after some time to get well he was put up for adoption. That’s where a man named Brian Junior and his wife found him while looking on Facebook. 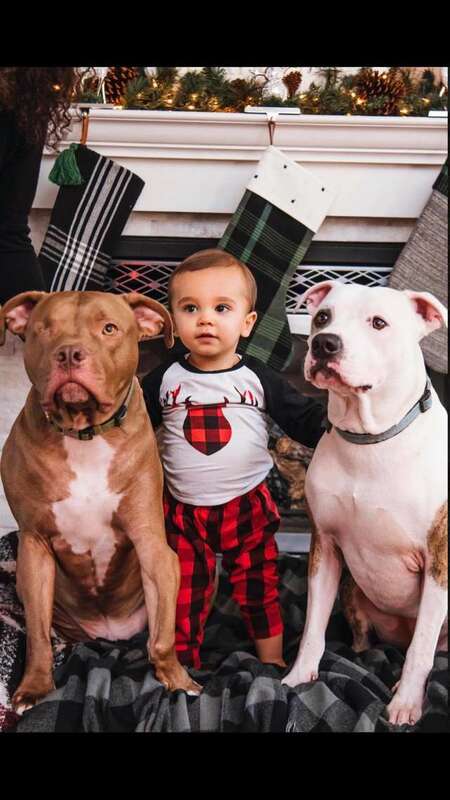 They fell in love with the sweet pup and adopted him in August of 2015 and he fit right in with their little family, which included another pit bull. A year after Riddick joined their family, they had a little baby boy. 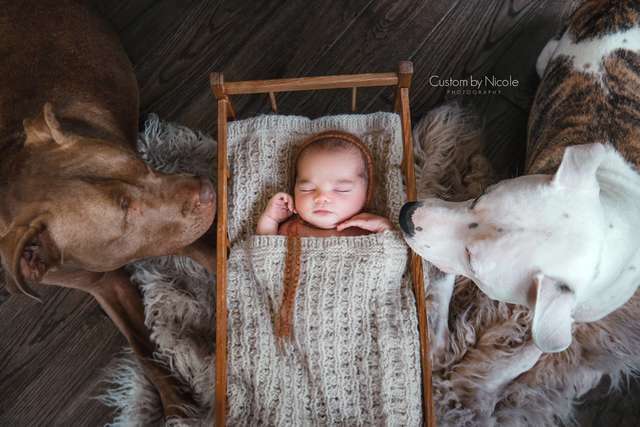 From the moment the baby, named Dawson, came home Riddick and their other dog Cambria were attached to the baby. Brian and his wife lovingly referred to the dogs as the “Paw Patrol” because they were so attentive to their human brother. Each time the baby cried, the dogs would come running to check on him to make sure he was okay. When baby Dawson woke up from his nap they would run in to say hello. Both dogs always sit attentively when Dawson gets his bedtime story and Dawson always gives the dogs a goodnight kiss before he goes to bed each night. It’s a mutual relationship: Dawson loves his doggy siblings just as much as they love him. He helps feed them, cuddles with them, and even plays with them too. That love was apparent recently when Dawson was sick with the flu. 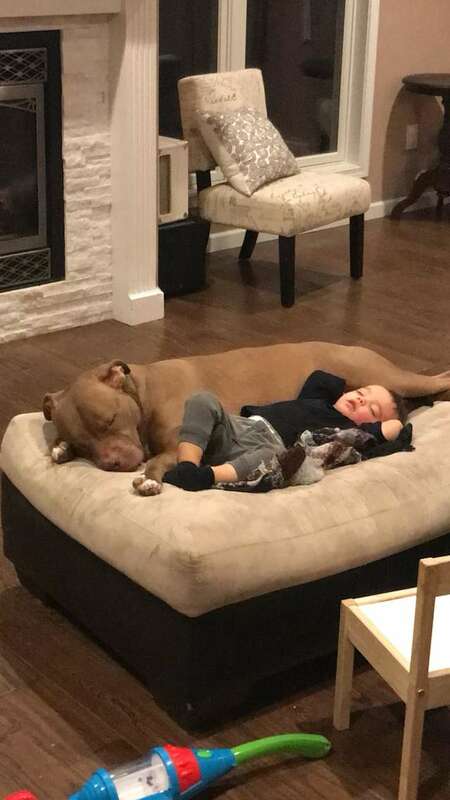 He had a fever and was just feeling terrible and did not want anyone to comfort him—except his doggy brother Riddick. Dawson climbed up onto an ottoman in his home and held Riddick until they both fell fast asleep. 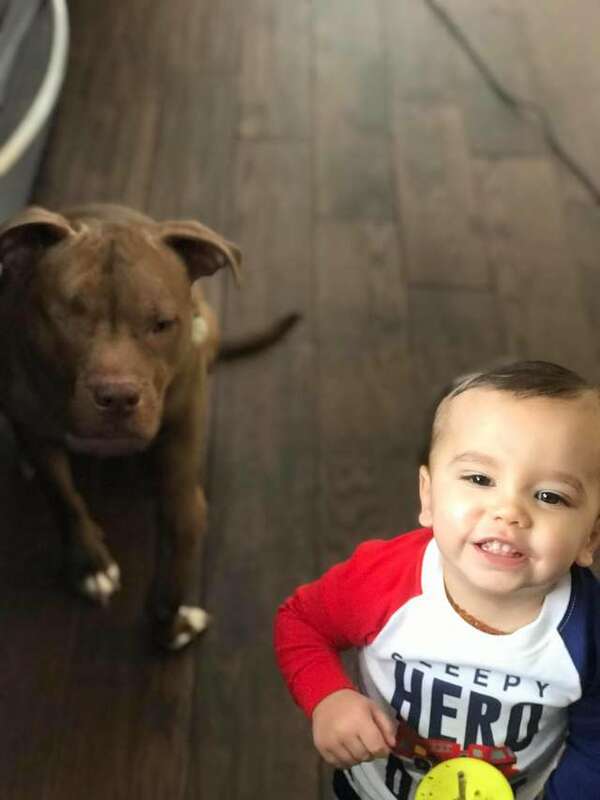 Riddick is a sweet, loving companion who is always there for his family and especially for his sweet little human brother.